HANGZHOU JUFENG TECHNOLOGY CO.,LTD (JF TECH) is a high-tech company which was established in 2008, focused on “R&D”, with production, sales, service all provided, JF TECH devotes itself to offer high-quality, best price products and “point to point “best service. JF TECH is a leading video surveillance provider in China, located in Hangzhou. It has its own branch company & office in most of main domestic cities. JF TECH focus on video surveillance, encoding, decoding, intelligent analysis, cloud storage etc. , meanwhile, we explore new technology, new solution continuously. With dedicated IP&AHD technology, together with excellent surveillance software platform,etc., JF TECH solution is widely used in many fields, such as Intelligent-transportation, Safe city, Mobile surveillance, community surveillance，Internet of things. JF TECH has been the most potential high-tech company in security area with its advanced innovative technology. 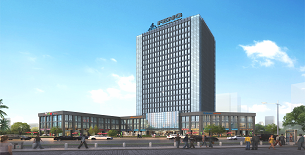 JF TECH has many certificates of patent, software copyright , trademark and is identified as Hangzhou Enterprise Technology Center & Hangzhou High-Tech Enterprise R&D Center. It is the member of CHINA SECURITY & PROTECTION INDUSTRY ASSOCIATION and the recommended brand for China safe city construction. Meanwhile, JF TECH is also awarded as the National High-tech Enterprise.